Joyfolie 2018 Felicia Set in Yellow Orche. 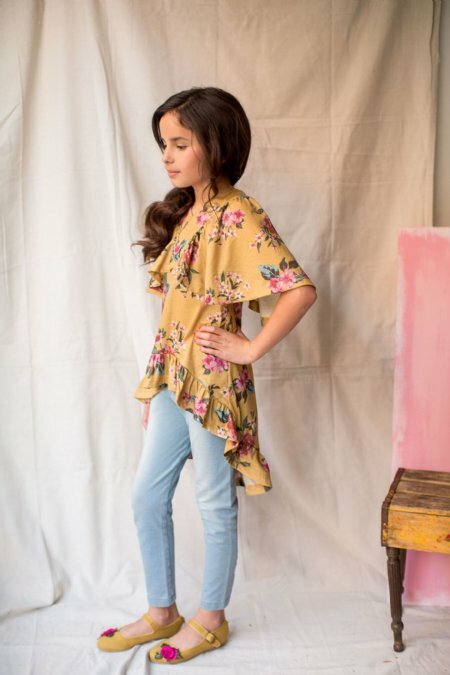 This ruffled top and legging set is the perfect combo for an easy and cute outfit. With exaggerated sleeves and a high-low ruffled hem, this metallic navy top is matched beautifully with a soft floral printed legging featuring an asymmetrical seam and notched hem for a fun and simple detail.